Happy Sunday morning afternoon to you! Today is the day I should be finishing my progress report writing, planning for the week, grocery shopping and doing laundry. So of course I am online reading blogs and looking at Pinterest. I have a LONG night ahead of me. Since I am avoiding my actual work anyway I thought I would share a few ideas from my classroom. So of course we don't leave it at that. We have to teach all about the virtue. My favourite way to teach about virtues is with picture books. Here are a few that we have used. 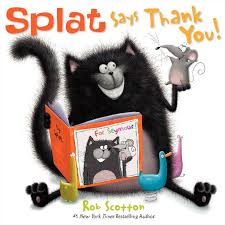 Splat Says Thank You is a great book (and not just because I love Splat above all other cats). His friend Seymour is feeling down and Splat wants to cheer him up so he writes a book saying thanks for all the things Seymour has done for Splat. 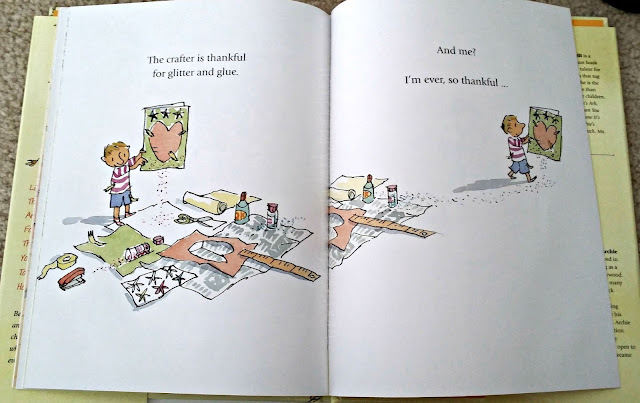 One of my students actually said "Why is he saying thank you so much, there are a lot of thank yous in that book.". 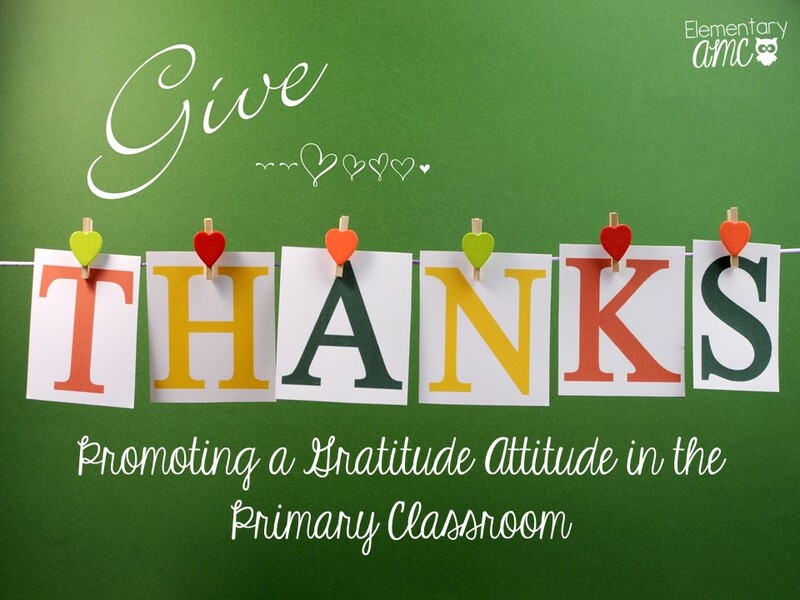 Yes for some of my students saying thank you is not something they have been taught to practice. There is a free little activity booklet available online that has cute thank you cards your class could use. 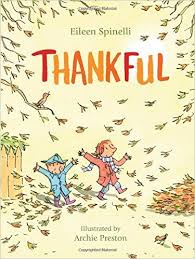 Thankful by Eileen Spinelli was new to me this year. 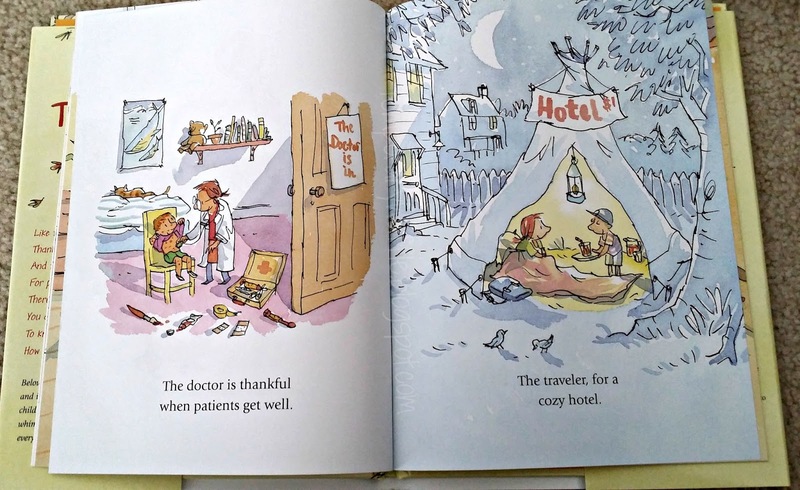 I love this book because it shows what different people might be thankful for. It fit in perfectly with our social studies unit on roles an responsibilities in the community. We made a class list showing different roles and what those people might be thankful for....where the picture of this is I have no idea : ( We brainstormed ideas for students, teachers, moms, dads, bakers, police, fire fighters, dentists etc. It is a great book to show the variety of things people could be thankful and helped push us beyond....thanks for being nice or thanks for being my friend. After learning about gratitude we made this board. I made some thank you note cards and we have been writing thank you notes. Some are to God, some are to me (warm heart, yes please! ), our custodian, their parents and most importantly each other. I love the way we are filling our wall with thanks. I live a little basket of thank you notes out so that students can write one up whenever they need to. 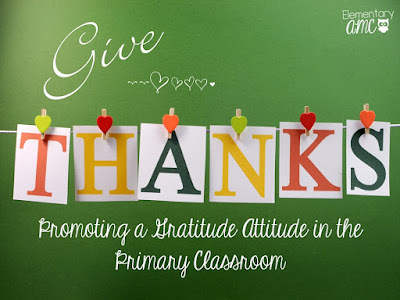 Now, we started our Gratitude Attitude wall before I read this amazing post by Erin over at Mrs. Beattie's Classroom and will be moving on to Peace and Respect in November (not that we will forget about being thankful!) but I just love this idea. 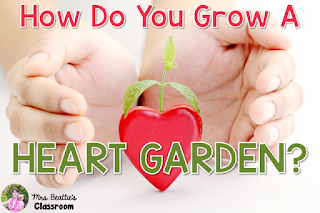 She has her students grow a Heart Garden!!!! and has a fabulous resource that I will be using this spring!! If you want to check it out click here. 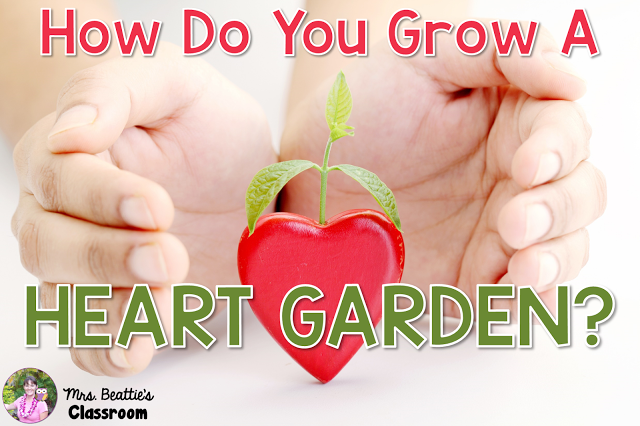 Thank you so much for sharing my post! I can't wait to check out the books you've shared... I'm always looking for additions to my classroom library!